The Square Enix Collective is a community site which gives independent developers an opportunity to showcase their game to the world. This is done by the developer posting details about their game, complete with trailers, screenshots, features, and so on, which can then be seen and critiqued by real-life gamers. Those voting decide whether or not a game’s concept has potential. Opinion givers can also communicate questions, suggestions, and ideas to the development team. At times, Square Enix will put a little extra support behind projects they believe will most definitely succeed. One such project is Forgotton Anne by ThroughLine Games. 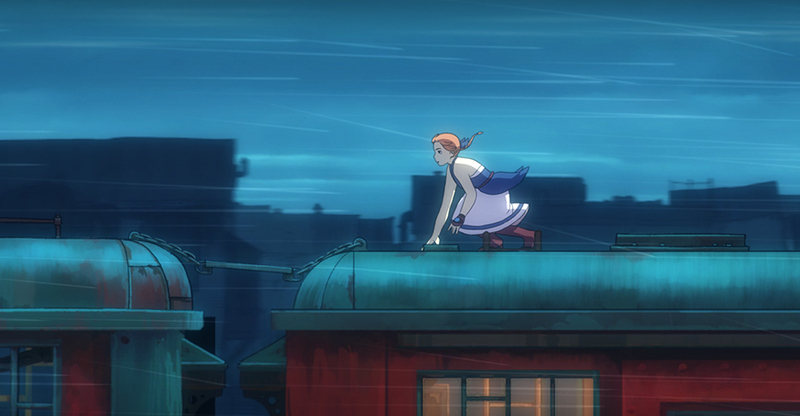 The story behind Forgotton Anne is one of those “dreams come true” type scenarios. A group of friends in the industry form their own company, put everything they have into the making of their game, and then see their leap of faith pay off. Since Forgotton Anne released last Tuesday, the developers have been inundated with compliments and enormously high, and, in some cases, perfect, ratings from players. You can read about their journey on the Square Enix website as well as their official blog. (Also, check out our Interview with the voice of Anne, Rachael Messer). If you’re an indie developer interested in getting involved with the Square Enix Collective, you can submit your game for review through the official website. The submission window starts on the 20th (or next closest work day) of each month and lasts for 48 hours. Once you’ve sent in your pitch, it’ll be put through an approval process. If Square Enix likes what they see, they’ll notify you and allow you to post on their site. If you’re a gamer who’d like to help evaluate/vote on the concepts posted by developers, simply set-up an account with the Collective and start critiquing. A new pitch will be posted each Monday. Forgotton Anne, the latest release from the Square Enix Collective, can be purchased digitally for $19.99 on PS4, Steam, and Xbox One.